"Rock Band" and "Dance Central" are not completely forgotten by the developers. Music-based party games like "Guitar Hero" and "Rock Band" had their heyday a few years ago, and saturated the market causing the genre more or less to collapse. The last full-fledged Activision "Guitar Hero" game - "Warriors of Rock", came in 2010 and the same year was also the last "Rock Band" release launched. Harmonix’ "Rock Band" however, kept releasing downloadable tracks until spring 2013. 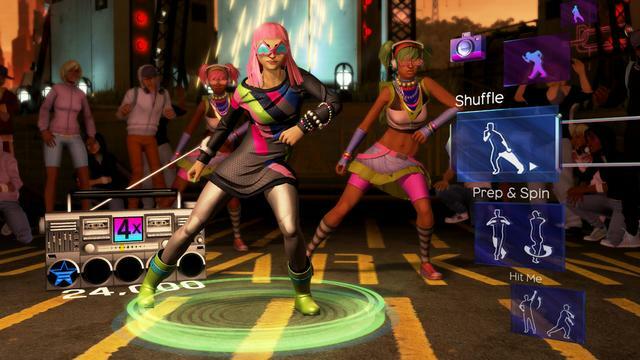 Harmonix also released three editions of the game "Dance Central", which still can be characterized as the franchise that utilized the Kinect sensor on the Xbox 360 the best. During a PAX exhibition last week Harmonix talked about the future of both their series. (The most remarkable thing is that the games actually have a future.) During a panel discussion, Harmonix boss Alex Rigopulos revealed that they have big plans to revive both "Rock Band" and "Dance Central." He emphasized that one should not interpret the statement as an announcement of "Rock Band 4" or "Dance Central 4". The company, however, has big plans for the series and want to bring both back at some point during the new generation of consoles, presumably the Xbox One and PlayStation 4, and potentially Wii U. The comments from Rigopulos are not terribly surprising. Last summer, he said that the Rock Band franchise will return "at the right point in time." Harmonix is currently working on 2 music related games, the Kinect exclusive Disney game” Fantasia: Music Evolved” for Xbox 360 and Xbox One, as well as a free-to-play FPS called “Chroma”, a "free-to-play, music-driven, first-person, multiplayer shooter" for PC and Steam. “Chroma” seems to be bringing something different to the table, as it features innovative first-person shooter mechanics that tie the game’s soundtrack directly to combat. You can join up with your friends, and bring your own musical preferences into battle. It is claimed to be a Free-to-play, without being pay-to-win. I guess you will have to wait and see about that. Read more about “Chroma” here, and if you are interested, the limited Alpha is open for sign-up here. Also during the keynote, Rigopulos announced a new mobile game from Harmonix called Record Run. It's a music-inspired endless runner, but that's all we know about it right now. It’s worth mentioning that Activision has also suggested that the Guitar Hero series, put on hiatus in 2011, could come back some day. What would you like to see from a "next-generation" Rock Band or Dance Central game? Will you be buying more plastic guitars? Let us know in the comments below!